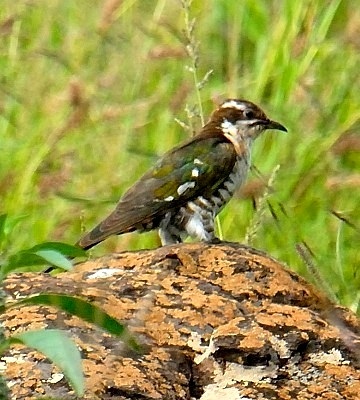 The Diederik cuckoo parasitizes several weaver (especially the Village Weaver) and bishop species. 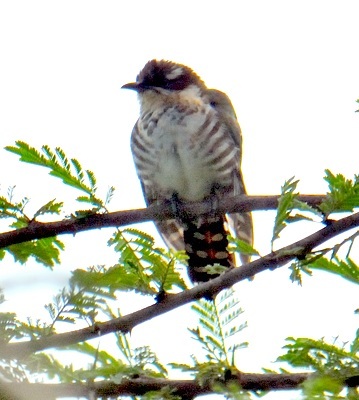 Note the completely barred underwing in flight (upper, Rubondo, 3-13; 2nd row left, Kitulo NP, 3-11, both courtesy of Paul Oliver) and the red eye in the male, brown eye in the female. 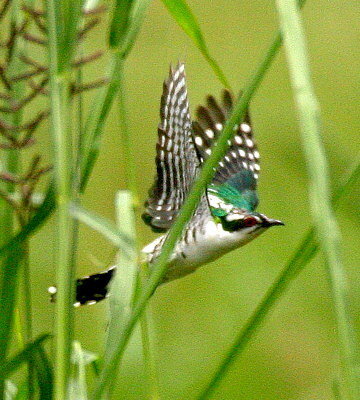 The 2nd row right photo is of a juvenile (Lengijavi, 1-12). 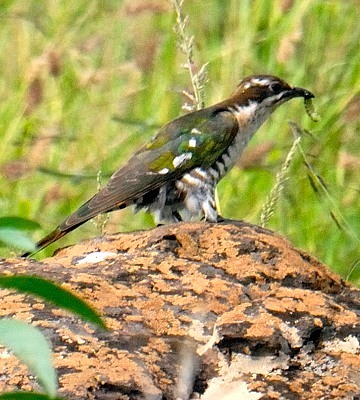 The 3rd row immature was at Nanja Dam, 6-06). 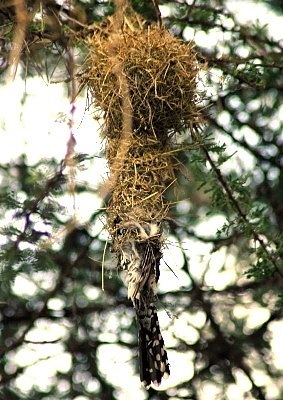 The left lower bird (courtesy of Owen Evans) was trapped and died in the tubular entrance of a weaver's nest. 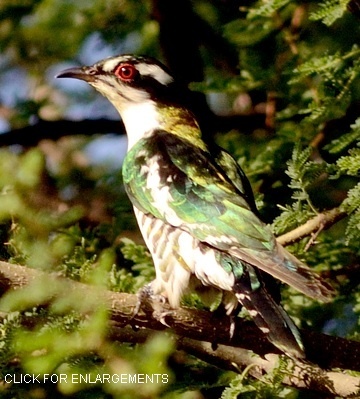 The right lower adult male was seen at Shambarai (1-13); click it to see several enlargements.